If you’re like me, you’re always wondering what to eat for breakfast. I could make you an eight course lunch and a 12 course dinner but breakfast always stumps me. I’m just not a morning person and I almost always don’t have time in the mornings for a proper breakfast. There are only so many eggs you can eat and smoothies don’t fill me up! So when I discovered overnight oats, it felt as if I had just invented the wheel! In its simplest form, it is just oats, milk, yogurt, fruit and a sweetener of some kind. You mix everything the night before, let it rest overnight in the fridge and it’s ready to eat in the morning. That’s it! No, really. That is all! 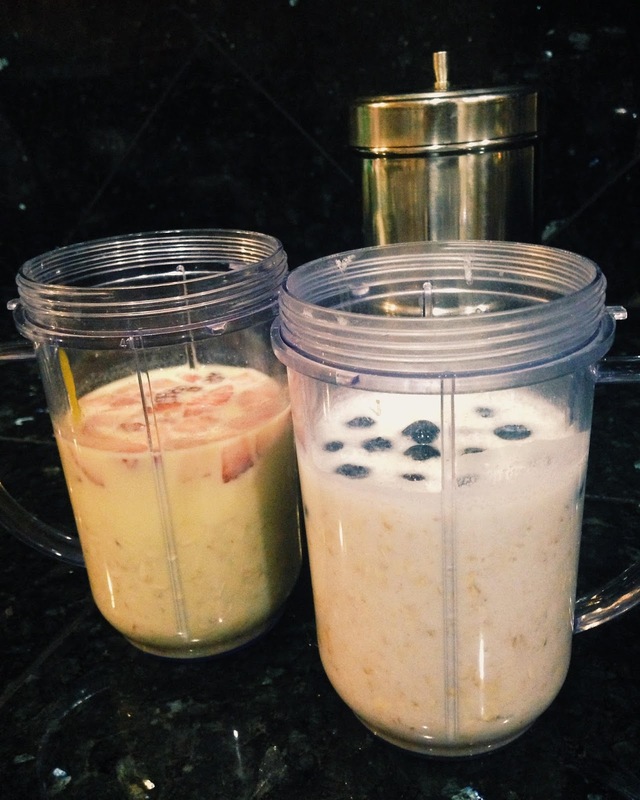 I have made so many variations of overnight oats, but these two are my favorites – Mango-Strawberry Oats and Coconut Blueberry. Mix all the ingredients, lid on, in the fridge and done. That’s probably the easiest recipe that ever existed. 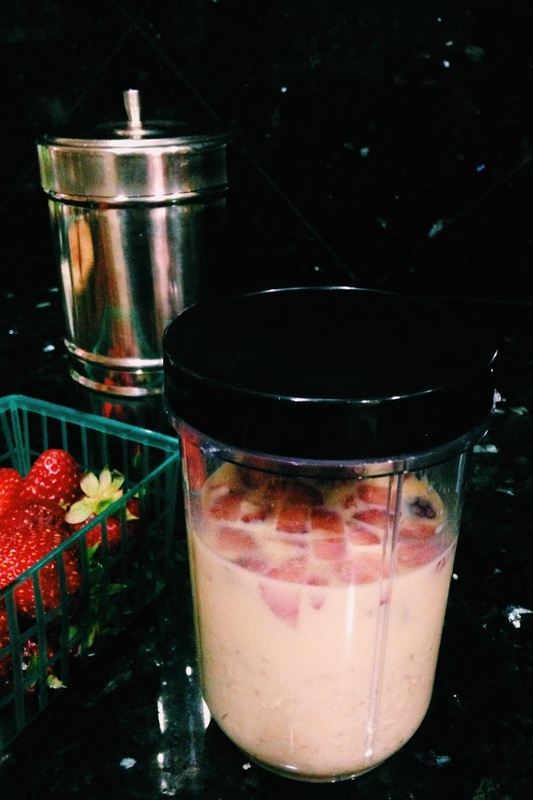 Mix everything and let it chill in the fridge with the lid on, overnight. What you’ll see in the morning is that the oats have soaked in the milk mixture, they’ve become friends with the other ingredients and are now a happy, porridge-y family. I like to heat it up a little before I eat but you can just go for it straight from the fridge. 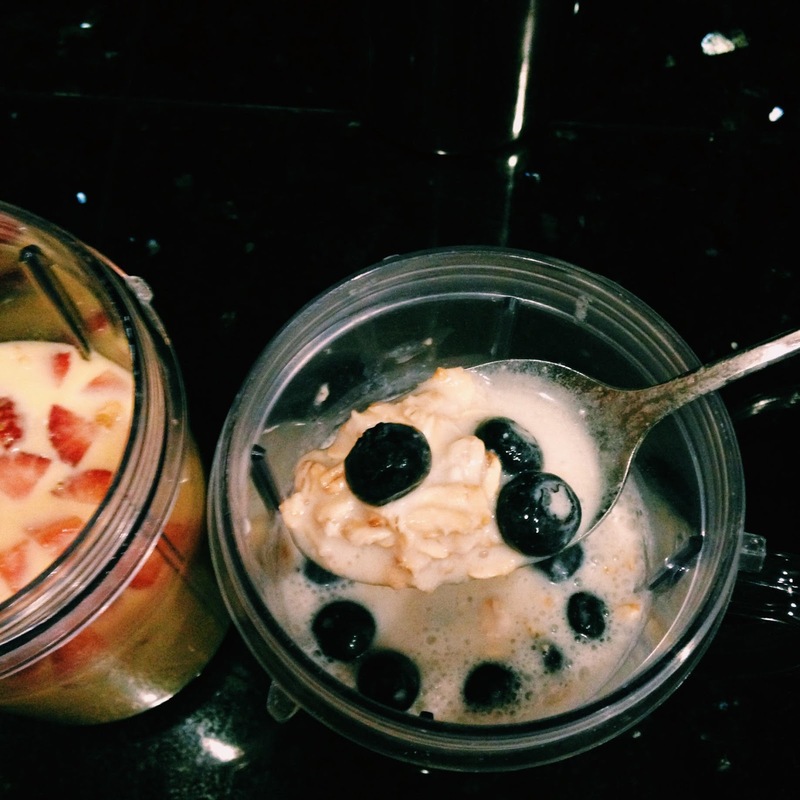 If you haven’t tried overnight oats before, please do. There’s just so many ways you can dress it up, add your favorite fruit, nuts, coconut flakes, peanut butter and jelly, cinnamon, really just anything. It’s going to be while before you get bored with overnight oats. Have you made this before? What are your favorite flavors? Do comment, I’d love some more ideas! Ciao! 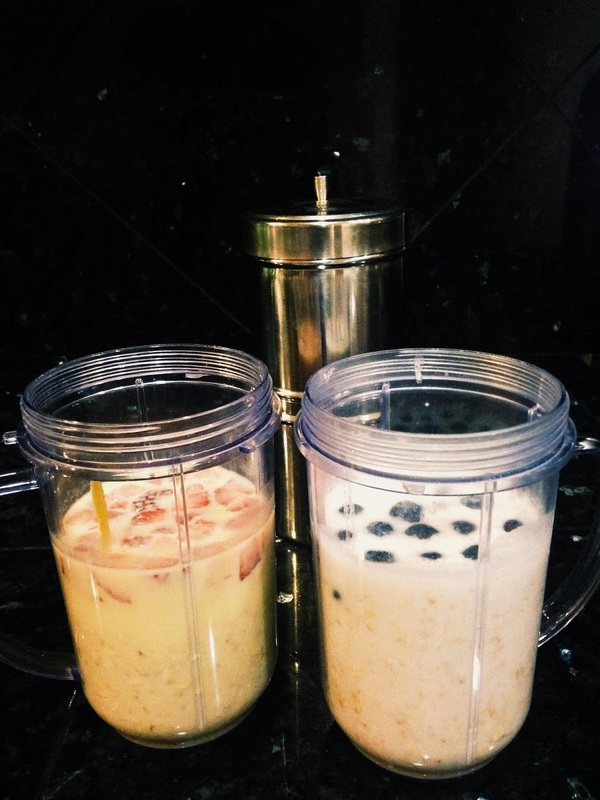 Such a different variety of preparation with oats. Thanks Indrani! Let me know how it turned out. Tara, hi! What I also love about this is that it keeps you full until lunch time so no unhealthy snacking 🙂 Cinnamon and Banana is my husband's favourite!